One other thing I did at the May 6th Rockwood solo show was try out some live versions of “other people’s” songs for the upcoming London Show June 20th. I guess some people would call it a cover version. This is first time I played this song solo, it’s the David Bowie song “Loving the Alien”. David asked me to come up with a vocal and solo guitar version of “Loving the Alien” for a Tibet House benefit gig back in 2002, and he liked it so much we used to do it every night on the “Reality Tour”. I feel a connection to this arrangement and dusted it off that night. I got most of the dust off I think and hope to get the rest off by June ! The next show will be June 20th in London, England !! 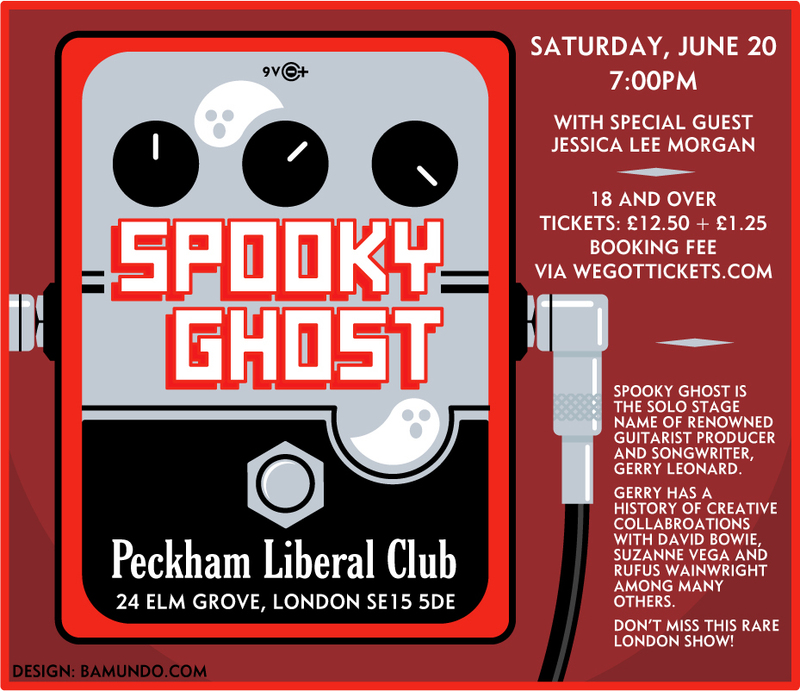 This entry was posted in News and tagged Bowie, davidbowie, Gerry Leonard, gerryleonard, gerryleonardgear, Loving the Alien, Rockwood Music Hall, spookyghost, spookyghostgear, suzannevega, tour. Bookmark the permalink.